The development of a cybersecurity audit checklist should not only take into account the various software platforms that your employees use as part of their day-to-day responsibilities, but also the online tools that they use from time-to-time to boost their productivity. As the CIO, you’re expected to successfully lead the development of preventative measures for safeguarding your company’s data. The ultimate measure of success for this is that your company’s data is never compromised. While achieving this can be difficult, there are ways to think outside the box much like how a hacker does in order to exploit a vulnerability. In essence, when you develop a cybersecurity audit checklist, you want to make sure you leave no stone unturned. Why? All the hard work you put into developing a cyber security audit checklist can quickly become derailed by a vulnerability smaller than you would expect. Continue reading to explore the types of tools employees might be using unbeknownst to your company in order to boost their productivity, and why these are a security threat to your organization. These should be accounted for in your cyber security audit checklist. When it comes to data breach risk mitigation, you must consider the transfer of information in and out of software platforms. While your company-sponsored software might check out as safe based on your organization’s security policy, there are likely free online tools your company’s employees use to boost their productivity. This is actually quite common, since the more advanced software systems that may come with more security would require management’s approval due to premium subscription costs. And when the pressure is on and your employees are in a pinch, they might use free online tools to take care of some of the more mundane tasks not directly related to their day-to-job job responsibilities. At this point, you might be wondering what types of online tools employees may transfer data into. Let’s use one of the most common examples that apply to multinational companies: language translation tools. It is common for any company that is doing business internationally at any level to require the translation of a multitude of business materials from one language to another. As an organization grows, this becomes more and more vital to global success. All too often, the excitement surrounding international expansion can distract from giving consideration to the level of security built into a language translation tool. The “baby steps” approach can cause scrappy adoption of free online tools to translate not only marketing content, but also financial reports and other internal documents that contain sensitive information. Here are the ways that free isn’t always free when it comes to a free online tool such as a machine-translation tool. These can lead to your organization’s data becoming compromised. Many free translation tools will allow a user to upload documents and receive a machine-translated version of those documents. Essentially, those documents are being uploaded and who knows if and where they are being stored. Most free translation tools don’t protect your data. After all, they’re free! As someone who is tasked with coming up with a cyber security audit checklist, free online tools don’t sound like they would pass an audit, right? Free online translation tools are often used to quickly translate emails written in a foreign language. When emails are translated, we often don’t know if they contain confidential information until they are translated. If an employee copies and pastes someone’s confidential email text into an online translation tool that doesn’t have high security standards, this poses double the risk to your organization. Some online tools reserve the right to repurpose the data that has been entered onto their web pages. The terms of service for one of the most popular free online translation tools states the company has the right to a repurpose the content entered into their tool in several ways because entering the content grants the company a worldwide license to it. Employees are trying to save themselves time, so you better believe they’re not reading a tool’s Terms of Service before using these free tools. Can you think of any other tools that employees might use to unknowingly enter potentially sensitive data? If you suspect your company’s employees might be using free online language translation tools to conduct business internationally on any level, consider adopting Pairaphrase secure cloud translation software as part of your risk management strategy. 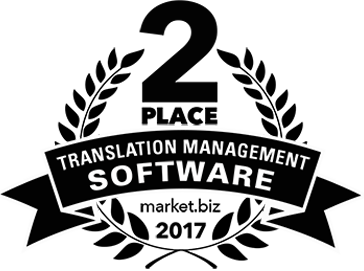 Secure translation software is a critical component of your organization’s risk management strategy. 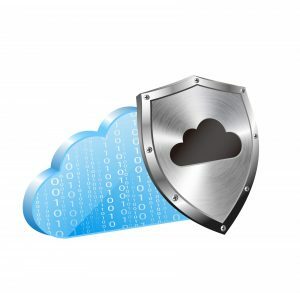 Cloud translation software can be a goldmine for security breaches if the software doesn’t have strong security measures in place. Below are some of the security features available with your Pairaphrase account. 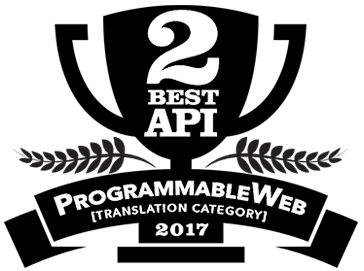 These features, amongst others, contribute to Pairaphrase’s reputation for being the best translation software for business security. What’s more, Pairaphrase will never share, index, or publish your data. Only you and designated members of your organization can access the data in your account. You have the option to delete this information permanently at any time. Check out the plans Pairaphrase has to offer to start protecting your organization and employees from the risks of free online translation tools.